One of the great things Stack Exchange provides the community with is free advertising for projects and events that affect the Ubuntu community. 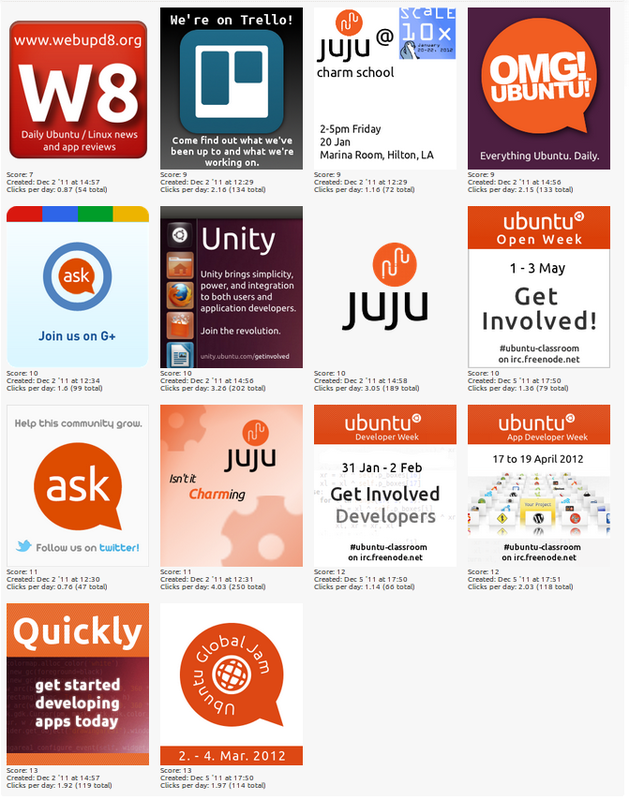 The ads are rotated though and displayed on Ask Ubuntu pages. It’s a great way to get the word out about your projects. Here’s a sample of events and projects that have submitted ads for this Quarter. Want to support these events and ads on your own blog? Then check out George Edison’s Stack Ad, which will let you run these ads on your own blog!